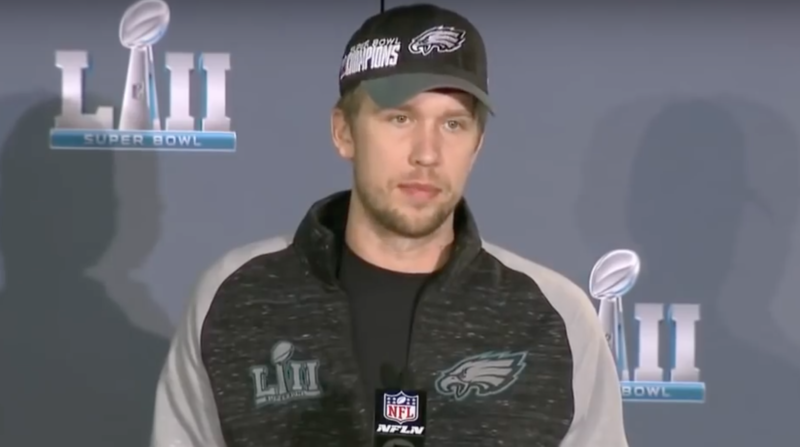 After receiving the Super Bowl MVP award Monday morning, Philadelphia Eagles quarterback Nick Foles shared his thoughts on an unexpected topic: our relationship with social media. Foles told NBC Sports that social media platforms like Instagram and Twitter are “a highlight reel” of our real lives, tending to focus on our best moments and not the “daily struggles” we all experience. It can make you feel like you’re “failing” when you have a “rough day,” he said. “We all are human, we all have weaknesses, and I think throughout this, (it’s been important) to be able to share that and be transparent,” he said. Foles also stressed that failure is an essential part of life — one that builds character and helps you improve, according to The Guardian. “If something’s going on in your life and you’re struggling, embrace it, because you’re growing,” he said. Foles joins many others, including Demi Lovato and Gabby Bernstein, who encourage us to have a healthier relationship with social media. Comparing yourself to others is not a healthy practice, and it’s important to remember that everyone, even the Eagles’ star quarterback, has bad days.